After adding new Korean dramas in October and providing Korean drama fans with an incredibly low yearly subscription fee of $11.88, DramaFever is adding exciting Korean dramas as well as Taiwanese dramas still airing. 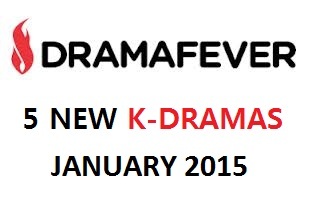 It confirms DramaFever’s strategic decision to add dramas from other Asian countries, and not any Asian country, but the country which was once the leading TV drama nation, before the Korean wave put it in the shade (Taiwanese dramas, however, still enjoy a great popularity in Chinese-speaking countries). Synopsis: Cha Dae-woong is a spoiled brat with plans to become a successful action star. One day, on the run from his rich grandfather’s latest fit of rage towards him, he accidentally frees a nine-tailed fox, Gu Mi-ho, who has been imprisoned in a painting for 500 years. Frightened at first, he runs away to the woods and ends up getting seriously injured. Feeling indebted to him, Gu Mi-ho gives him her “fox orb” a powerful part of her life force, to heal him. When he wakes up, the two form an awkward partnership, as Dae Woong begins to rely on the power of the orb to shoot his action sequences, while also giving in to Mi-ho’s request to teach her how to act human. Though Dae Woong is initially acting out of fear, things start to change as he gradually begins to fall for her. However, Mi Ho will be faced with a terrible choice as her time in human form runs out in this heart-wrenching comedy. 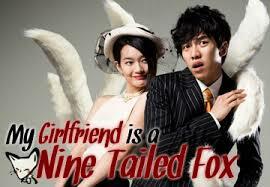 My Girlfriend is a Nine-Tailed Fox is a snappy, quirky, folklore-infused romantic drama about a star-crossed couple played by actor/singer Lee Seung-gi and Shin Min-ah. 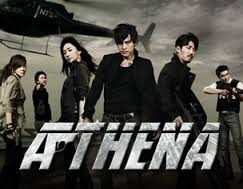 Synopsis: A year after the blockbuster spy thriller IRIS comes the exciting spin-off series ATHENA: Goddess of War. Lee Jung-woo is a special agent at the National Anti-Terror Service (NTS) who is put on babysitting duty when he’s assigned to watch over former North Korean intelligence agent, Kim Ki-soo. He finds himself drawn to fellow agent Yoon Hye-in, but she remains cool and keeps him at a distance. Little does he know, she is also a double agent for NTS and is placed within Athena, a terrorist organization set on attaining the latest nuclear power technology. When the daughter of the South Korean president is kidnapped, Jung-woo is tasked to bringing her back safe and sound, pitting him against Son-hyuk and the ruthless organization, Athena. Synopsis: Go Eun-sung leads a charmed life. Her wealthy, adoring father allows her to live her dreams of studying abroad, and the only difficulty in her life is her younger brother’s struggle with autism. Despite all this good fortune, everything changes for Eun-sung when her loving father dies of mysterious circumstances. After the family discovers that Eun-sung’s father left behind a tremendous amount of debt, her stepmother promptly throws her and her brother out of the house. Homeless and penniless, Eun Sung takes a job as a waitress at a nightclub to support herself and her brother. Eun-sung hits rock bottom when her brother disappears. Her fortunes turn, however when her kindness lands her a new lucrative job and a new family of sorts, which leads to new fortune, but also new obstacles. 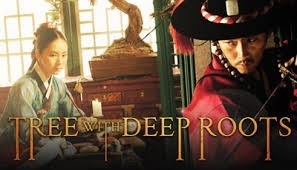 Synopsis: A high-budget historical thriller with an unusual concept, Tree With Deep Roots stars Jang Hyuk as a brilliant Joseon-era investigator. Kang Chae-yoon is an ordinary guard in the imperial palace during the reign of King Sejong. The King has a vision to create a written language for Korea, and has worked with scholars to create the first Korean alphabet. In this project he is helped by So Yi, a beautiful, mute lady of the court. When palace scholars begin getting murdered seven days before the release of the official hangul (alphabet), Chae-yoon takes it upon himself to investigate. He begins to uncover a vast, labyrinthine conspiracy behind the serial killings, which leads him to a group of shadowy, powerful men who seek control of Korea’s fate. As Chae-yoon inches closer to the truth, he discovers how far the roots of their powers extend, and finds his own life in danger. Based on a bestselling novel by Lee Jeong-myeong, Tree With Deep Roots is a tense, finely-crafted series, laced with mystery and romance. Synopsis: After losing his fiancee Liang Luohan (Kirsten Ren) and eyesight in a tragic accident, Fang Zhancheng (Kingone Wang) discovers his nurse Wang Yuxi (Kirsten Ren) possesses the same voice as Luohan and quickly falls for her. 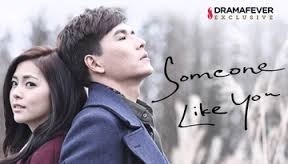 But Zhancheng’s new romance is complicated by his stepsister Xie Leilei (Katie Chen) and Luohan’s heart donor recipient Xu Yati (Nita Lei), both of whom are also in love with him. Troubling matters further, Zhancheng and Yuxi may share a damning connection. Synopsis: The Li family was blessed with not one, but four beloved daughters, and though they’ve all grown up and gone their own ways, these four sisters — Li Lianqing (Hong Xiaoling), Li Yiwan (Joanne Tseng), Li Qingqing (Xiao Xun) and Li Xiaoxi (Fangzhi You) — find themselves reconnecting under the same household once again. From surviving divorce to navigating careers and college, there isn’t anything the four Li sisters can’t work out together in this heartwarming drama about modern family life. And for those who have read until here, you will also be able to know that DramaFever has also added a special episode of Running Man with an appearance by Seo Kang-jeon of 5urpsise, the Korean band to perform at the DramaFever Awards 2015 – to watch for FREE! Created in April 2014, Daehan Drama aims to promote Korean TV dramas towards the UK audience, as well as facilitate dialogue between the British and Korean creative industries. Where to watch Korean TV dramas in the UK?